As much as we don’t like to believe, our way of thinking limits our capacities. Oftentimes, we let our left brain thinking dominate most especially in our work. We’re taught to be critical and to believe there is only one answer, so we fail to tap into our right brain thinking, the part of the brain where we are more creative. Together, we can be more resourceful. 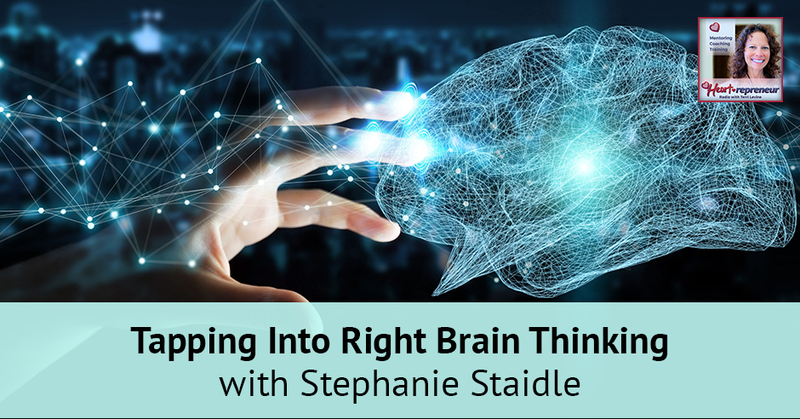 Stephanie Staidle talks deep into the neuroscience-based cutting-edge techniques she has for businesses and individuals. As the founder of The Right Brain Entrepreneur and a licensed art therapist and rapid results business coach, she taps into our limiting beliefs and offers mindset training, encouraging entrepreneurs to be more creative to have more success in business. I have with me Stephanie Staidle and she is the Founder of The Right Brain Entrepreneur. She’s also a licensed art therapist and a rapid results business coach. 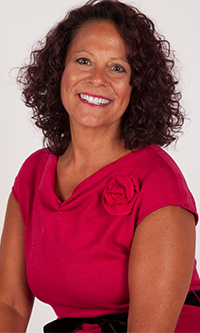 Stephanie helps individuals create positive social impact in businesses they love. She propels companies towards the inspiration and change they need to activate sustainable and accelerated growth. I want to talk to Stephanie about lots of things including her neuroscience-based cutting-edge techniques which sound very different, very interesting and we’ll talk a little bit about right brain thinking as well. Welcome to the show. It’s great to have you. First of all, how did you even get into The Right Brain Entrepreneur? How did you go down that road? Like many entrepreneurs, my path was not one straight line. I started off in a corporate world doing advertising and marketing thinking, “This is going to be the perfect combination of my love of psychology and art.” It was not that at all. As I did some more soul searching, I realized I wanted to make a bigger difference and that I wanted to choose a different path. After some soul searching, I went back to school to become an art therapist. For those that are not aware of that modality, it’s essentially psychotherapy using art instead of the traditional verbal exchange. What I learned was absolutely fascinating that when we bypass our verbal filters and tap into your right brain, your creative self, we can overcome challenges a lot faster. I wanted to bring this to the masses. That’s when I went from being an art therapist doing social work to looking at how I can bring this into companies and businesses, that we can all tap into our full potential and to heal whatever needs to be healed so that we can make the difference that we want to make. As a speech-language pathologist and also as president of a national healthcare company, I’m familiar with art therapy. We have art therapists, whether they were working with our autistic kids or whether they were working with our Alzheimer’s patients. I love that you’ve taken this to another level. As you developed into this whole Right Brain Entrepreneur idea and what you’re using, talk about this underused resource of right brain thinking. I don’t think enough people look at this, talk about it or even understand the neuroscience behind it. There is still a lot of science behind how we, as human beings, are trained to use our brain. A lot of it is due to our societal and educational influences. If anyone has not seen it yet, please watch Sir Ken Robinson’s Changing Education Paradigms TED Talk. He goes deeper into this about how creativity is being killed off in schools. We are all born creative geniuses and then that capacity starts to decrease. We’re taught to think logically, to analyze, to only believe that there’s just one answer. We stop collaborating and we stop tapping into that genius that we’re all born with. That’s what I call right brain thinking. It is tapping into that muscle or using that muscle rather that we stopped using. It doesn’t go away, that’s the good news. Most of us, especially in terms of being an entrepreneur, when we start to go beyond our comfort zone or want to make a difference in a bigger way, the left brain were so dominant in that process that we’ll always look for the safest way or we’ll limit ourselves and we will have a limited view of our capacity. We need to be resourceful. We need to see all the possibilities. That’s right brain thinking and most of us aren’t trained in how to use that anymore. We’ve lost that. A big part of what I do with my clients is how to fire those neurons again. It’s not as hard as you think, but it is a retraining of your brain. 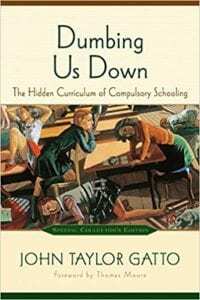 I’ve read a phenomenal book called Dumbing Us Down and it’s the hidden curriculum of compulsory schooling. John Taylor Gatto is the author. Here we are talking about some of the same things, changing this education paradigm. I totally am with you on this. I have some client family members who are trying to disrupt the education system and trying to bring some new methodologies out there. What’s the deal in business? This is happening in school, then we’re like, “I’m going to be an entrepreneur.” How does that then affect us when we start a business or we own a business? We will limit ourselves. We’ll look for the safest, we overanalyze instead of taking action, we’re risk-averse. We have limited beliefs about what’s possible and that’s rooted in what we’re told from our parents, from our teachers, maybe from our early childhood experiences, from people who had nothing but the best intentions. They are also a part of this system that tells us the best paying jobs are in math, economics, and science. That you have to go and do the 9:00 AM to 5:00 PM grind and there’s a particular formula you must follow. We’re ingrained in that and then when we try to break through that mold, it can be very difficult because we have decades of old wiring that we need to get rid of. In terms of business, a lot of what I do is mindset training. I truly believe 90% of your success is due to how you use your mind. You can have the perfect formula and everyone can tell you exactly what you need to do to be successful in business. Most people won’t do it because they have so many blocks. It’s about removing that old conditioning. I use neuro-linguistic programming a lot. I use a lot of creative techniques. I will have my clients do art. Every client does a vision board to tap back into their creativity and then doing more activities that help them to fire those creative neurons. When you do that, creativity begets creativity. Where you maybe were stuck in a challenge and didn’t see a way out, all of a sudden it comes to you as an a-ha while you’re taking a shower because you’ve been doing these other techniques to tap into your brain. When you are moving those beliefs and then strengthening the creative side, you automatically find yourself with more confidence, with more clarity, being more resourceful, and being bold. When you can do that, the world is your oyster. What is one major tip that you can give someone? I’m going to give you a specific client family member because he represents so many people I know. He is definitely risk-averse. He is so stuck in his thinking, “Everything else, I have to reason it, I have to logic it, I have to think about it, I have to consider it, I have to look at all options,” and by the time he’s done doing that, a year has gone by. What would you say to someone like that? I know we have lots of entrepreneurs like that. There will be two things that I would do to that person. We would have to get connected to their bigger vision, their bigger why, and their bigger commitment. Do we need to have something that’s going to be pulling them forward, especially when the mind goes, “What are you doing? That is too risky.” The only thing that’s going to pull you through that fear is to have a bigger why. If he is not connected to that yet, that would be the first thing that I would do. The second thing is we have to desensitize him. Throwing them off the cliff is way too scary for his brain. I would give him very little things to do every day. I’m sure he wants to get it right and it sounds like he’s been delaying it and waiting. I would give him one email. 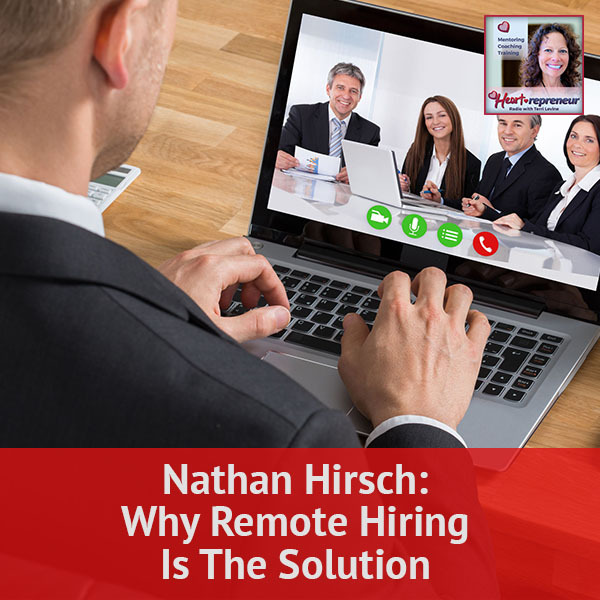 You’re going to send one email or you’re going to watch this one video because I need to desensitize that default part of his brain that’s risk-averse and needs to have everything figured out. By taking those tiny actions that aren’t too scary, eventually that accumulates. He looks back and he’s taken a lot of action and he’s making some real headway. Early on when I started in the coaching industry, I remember somebody saying to me, “I’m going to do this and do that and I’m going to leap over here.” I said, “The way most people get across the bridge is they don’t jump from one side to the other, they take baby steps and then they look back and go, ‘I’m all the way at the end and I came from over here.’” That would resonate with him. How can people and where can people connect with you and who is an ideal person to connect with you? I have two ideal folks that can connect with me. I do live speaking and workshops for corporations around leadership, communication, and tapping into creativity. Any company that’s looking to increase performance but has a bigger vision. Similar to you, I have a feeling because you’re called Heartrepreneurs. I work only with people that want to make a difference in the world. For companies that want to make a difference and they are struggling to do that, they could bring me in for corporate training. I also work one-on-one with individuals, small businesses, healers, coaches that want to make a difference. They have gifts that they want to give to the world and they don’t know how to do it and they’re struggling. I can handle the nuts and bolts, but 90% of it is the mindset piece that they work on, the confidence of overcoming procrastination and fears. I have two websites and they interlink. 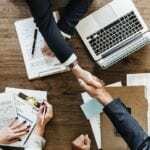 For corporate workshops, the best one is TRBE.org and then for small businesses, for one-on-one clients, that would be TheRightBrainAcademy.com. That has a lot of wonderful freebie resources for anyone that’s looking to tap into the right brain, so you can just go there and peruse. There are lots of cool training and downloads that you can have to get started on your own. The Right Brain Entrepreneur has been phenomenal. What I’ll also say to folks is those of you who are Heartrepreneurs, I’m sure you can see how this matches perfectly. It’s a great fit. Do connect with Stephanie. 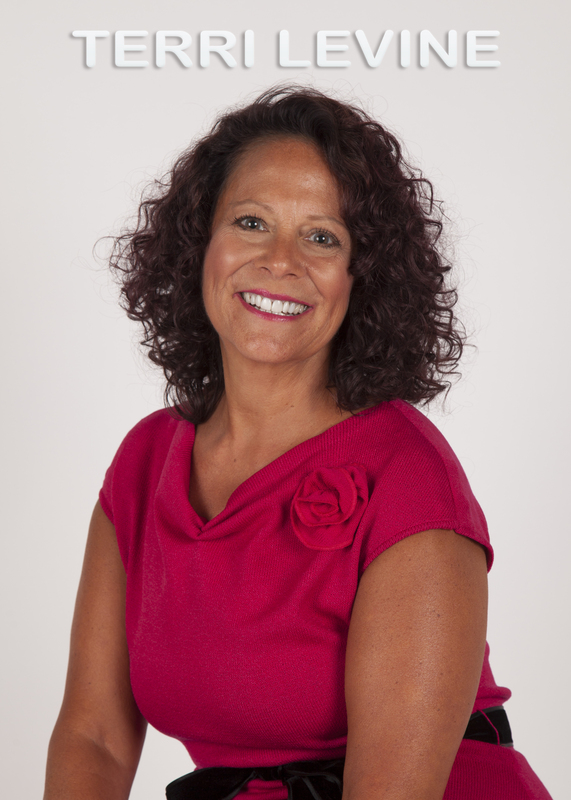 Stephanie, thank you so much for being my guest here at Heartrepreneur Radio. For the audience, we have two things for you and both are totally free gifts. First, go over to HeartrepreneurAcademy.com and register for a free account on our forums. It is a totally free account. Once you get in, you will find thousands and thousands of dollars of free materials. I am giving away my life’s work and more goes in it every single day. You will also have forums to interact with thought leaders throughout the world who can help you, assist you, and network with you. Heartrepreneurs do business with Heartrepreneurs. Grab your course that I put together for the audience over at GetHotPayingClients.com. It’s a totally free course because I appreciate you. 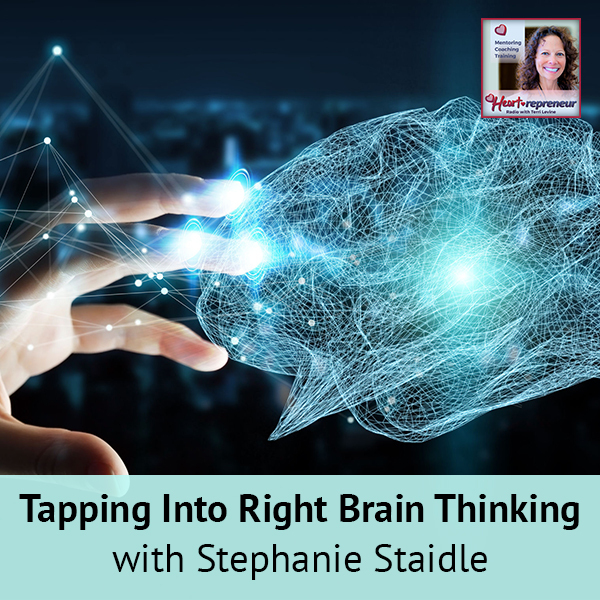 Stephanie Staidle, founder of The Right Brain Entrepreneur, who is a licensed art therapist and ‘rapid results’ business coach. 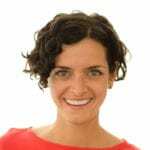 She helps individuals create positive social impact in businesses they love, and propels companies toward the inspiration and change they need to activate sustainable and accelerated growth. With 18 years experience in psychology, she teaches clients how to use “right brain thinking” to increase clarity, confidence, and profits.